TWENTY-NINE non-governmental organisations have been de-registered in Masvingo province after they failed to submit certain paperwork to the local provincial administrator. 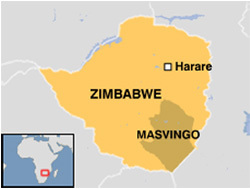 Masvingo governor Titus Maluleke said 11 others – mainly dealing with children, HIV/Aids and disability issues – had been reported to the Department of Social Welfare. The crackdown has sparked fears that the move is political after Zanu PF threatened just that at its December conference held in Bulawayo. The party’s central committee report to the conference delegates claimed that there were about 2,500 NGOs operating in Zimbabwe and some of them were pushing a “regime change” agenda.